Three hours from London, with a bohemian blend of French, Arab and Berber cultures, Marrakech provides a concentrated shot of affordable exotica. 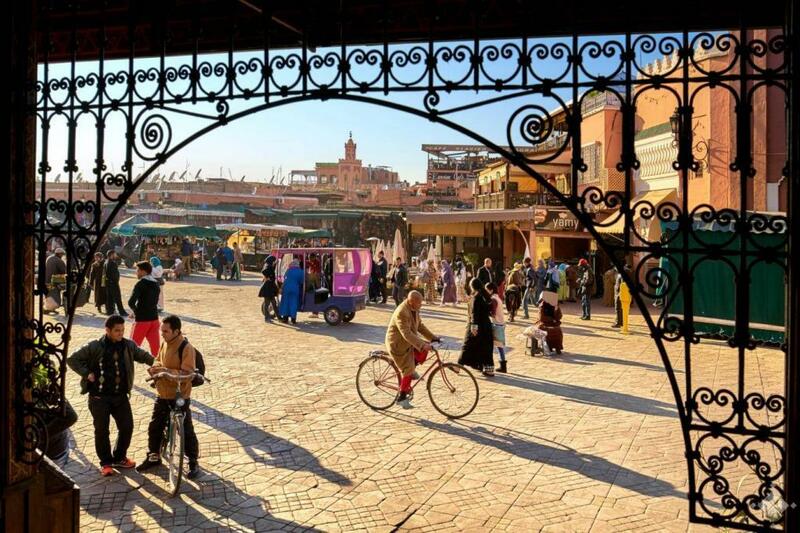 More than two million visitors arrived last year and the often labyrinthine queues at the city’s attractive modern airport show an international crowd wants to enjoy some Marrakech magic. Early property hunters bought riads in the Medina, traditional townhouses built around courtyards with exquisite interiors: keyhole doorframes, cool, smooth plasterwork and geometric tiling. Then developers saw the potential in the flat land outside the city and built homes and hotels among the olive groves in the shadow of the Atlas Mountains. The 2008 recession slowed the market dramatically, according to Robert Green of Sphere Estates.Wealthy buyers from across Europe and the Middle East came, encouraged by warm weather, good service and a truly authentic vibe. “Marrakech was incredibly popular in the early 2000s but prices fell by as much as 50 per cent from their 2007 highs,” he comments. Four Seasons, Aman and Mandarin Oriental are among five-star hotels in the city. Another, Fairmont Royal Palm, opened in 2014 on a 550-acre plot 20 minutes south of the airport and the Medina. The palatial 124-suite hotel has excellent sports and spa facilities hidden among the olive groves and palm trees, including a championship 18-hole golf course, tennis courts, gym and idyllic spa. It is a well-established and family-friendly exclusive resort with a strong design theme that appeals across the generations. Newly launched this month through Sphere Estates are Fairmont-branded Residences priced from £265,000. These are in four distinct zones, all surrounding the pristine golf course, and range from riad-style villas to expansive villas on two-and-a-half-acre plots. Detached three- and four-bedroom villas of 2,906sq ft to 9,257sq ft start from £1,320,000. More compact single-storey three- and four-bedroom villas, also on the golf course, start from £573,000, aimed at owners wanting a mix of personal use and rental income. At these riad-style villas, owners get eight weeks’ use each year, but otherwise they must rent their home through the hotel. All the higher-priced homes are full ownership.One- to three-bedroom homes from 753sq ft with small gardens or roof terraces priced from £265,000 will come to the market later this year. In 2011, Four Seasons opened its Marrakech hotel where its branded villas sold well, setting a new price point for the city. Its latest venture is Four Seasons Private Residences Marrakech at M Avenue, with 88 one- to five-bedroom standalone apartments starting from around £264,000 for 860sq ft. These homes, due for completion at the end of next year, are next to the existing Four Seasons hotel and resort close to the centre of Marrakech. They operate separately from the hotel but owners have access to the hotel facilities on a membership basis as well as their own gym and pools. BA has just announced four new weekly flights from Heathrow to Marrakech, starting October. These first flights from Heathrow add 50 per cent more flights to the existing eight weekly from Gatwick.